With the start of autumn comes colder weather, sweaters and the ever-popular pumpkin spice latte. This means you’ve got an excuse to wear scarves again, but if you’re using them to hide your insecurities versus keeping you warm, we need to talk! If worries about your neck keep you wrapped all year long, our MACS facelift procedure can help. The chest and neck areas are one of the most beautifully feminine parts of a woman’s body and as you age, these areas will begin to change. 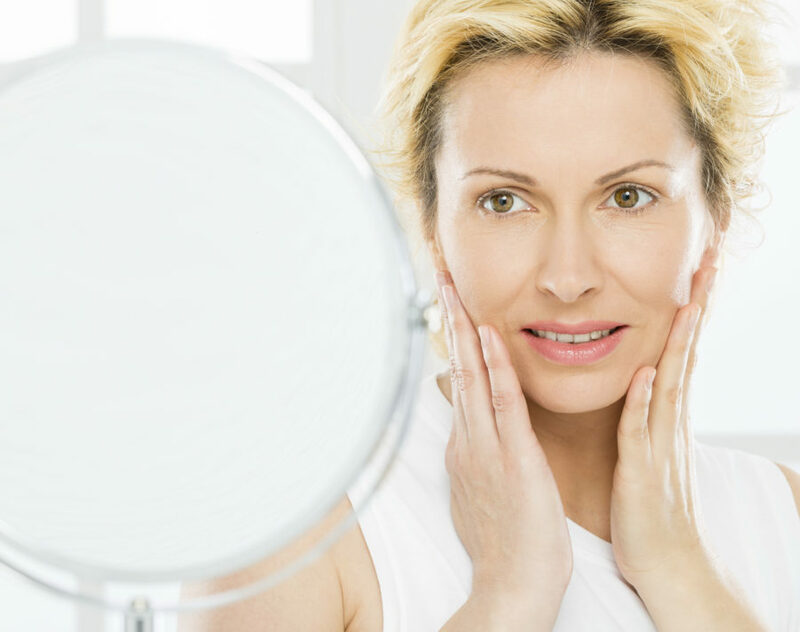 While some of these changes can complement your appearance, others can leave you feeling uncomfortable or beyond your years. Our MACS facelift can address areas of concern such as loose or sagging jowls, skin beneath the chin and jaw, and sagging skin around the neck. The procedure uses short incisions around the chin and neck to tighten skin and erase wrinkles. MACS lift is an abbreviation for ‘Minimal Access Cranial Suspension-lift.’ The incision is made in the natural crease in front of the ear, so any scarring is hidden and unnoticeable. Through this incision, we’re able to detach the skin from the cheeks up to the corner of the jaw near the neck. The underlying muscles are tightened and lifted vertically. The procedure should take a maximum of 3 hours, and recovery is smooth. You’ll be back to your regular activities in one week, with minimal bruising and scarring fading quickly. If you may be interested in the MACS facelift or any of our other facelift procedures, please call us today to schedule your free consultation.